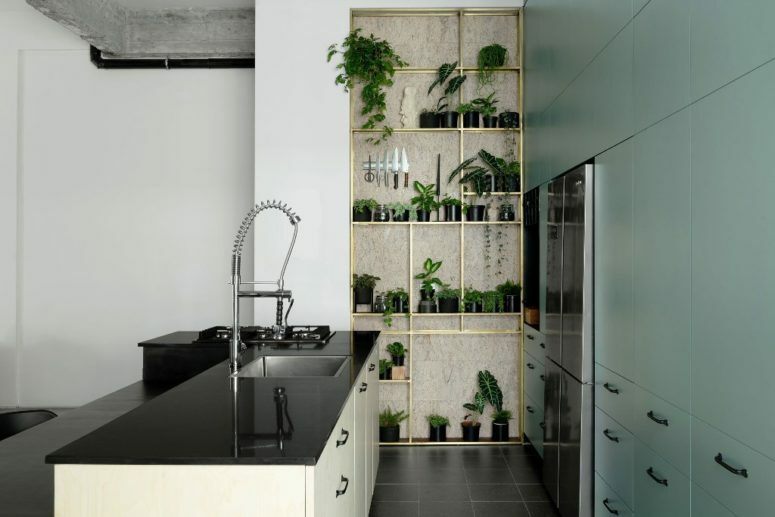 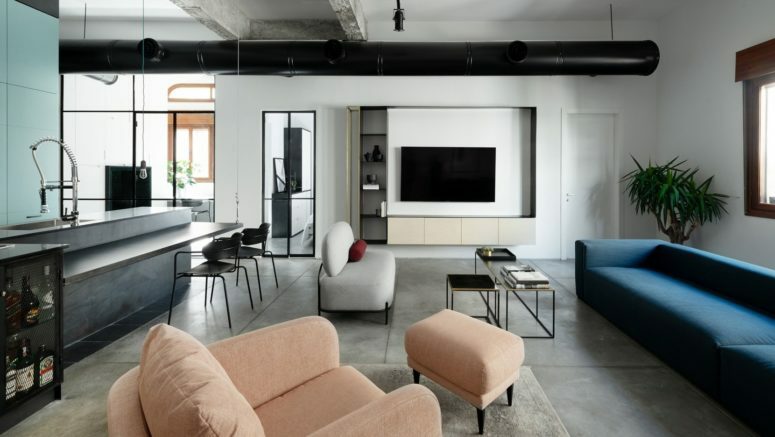 Located in central Jaffa in Tel Aviv, Israel, this two-bedroom apartment was recently renovated by Studio ETN in order to create a thoroughly modern, light-filled home in tune with the lifestyle of its owners. 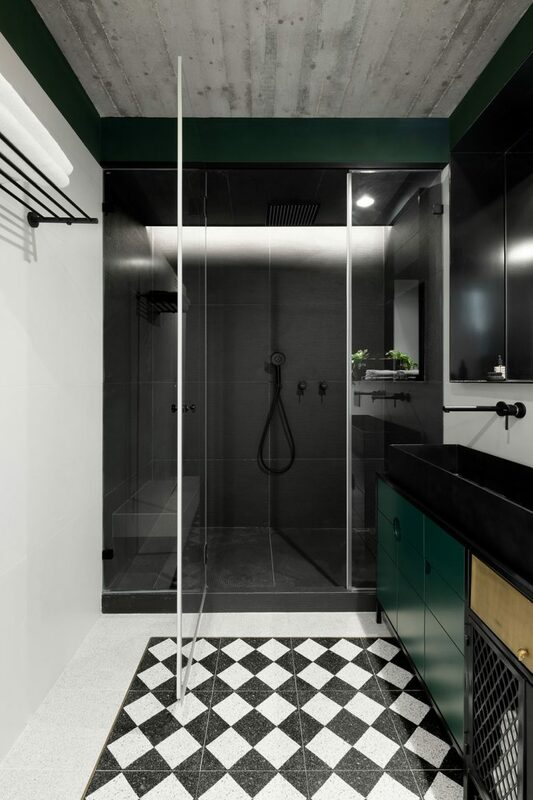 Architect Eitan Cohen has channeled the neighborhood’s amalgamation of past and present by combining local materials and industrial references with a contemporary aesthetic of minimalist refinement interlaced with playful details. 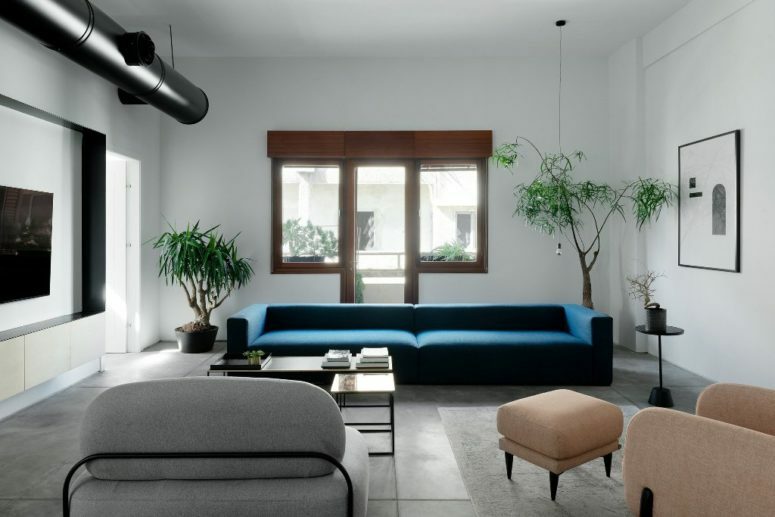 The apartment’s layout was completely redesigned in order to create a spacious living area for entertaining guests, which meant demolishing most walls, doing away with corridors and merging the kitchen into the living room. 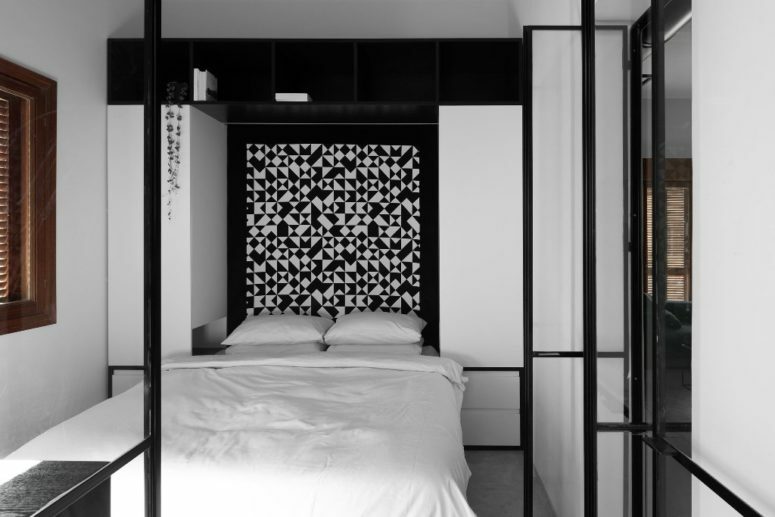 In order to address the uneven distribution of natural light, Cohen introduced glass dividers framed by thin profiles to separate the living room from the master bedroom and study. 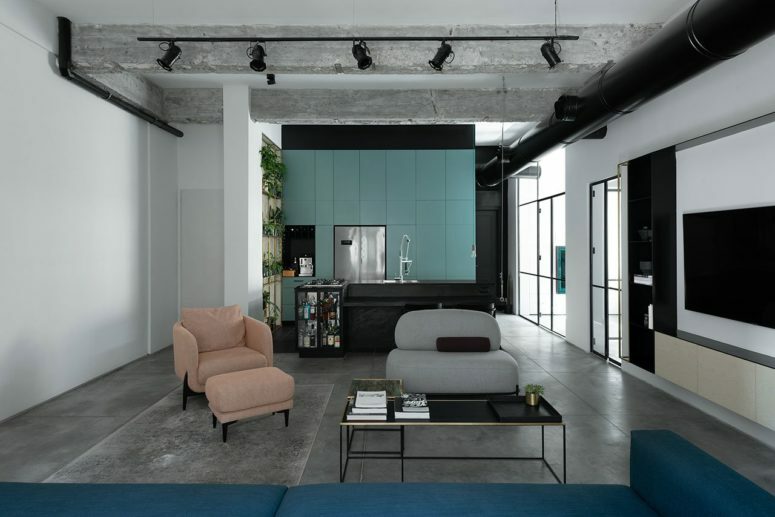 Screed floors, exposed concrete beams, and black steel elements, along with visible air ducts establish an austere, urban aesthetic that is enriched by local materials such as terrazzo and stone, and the use of brass. 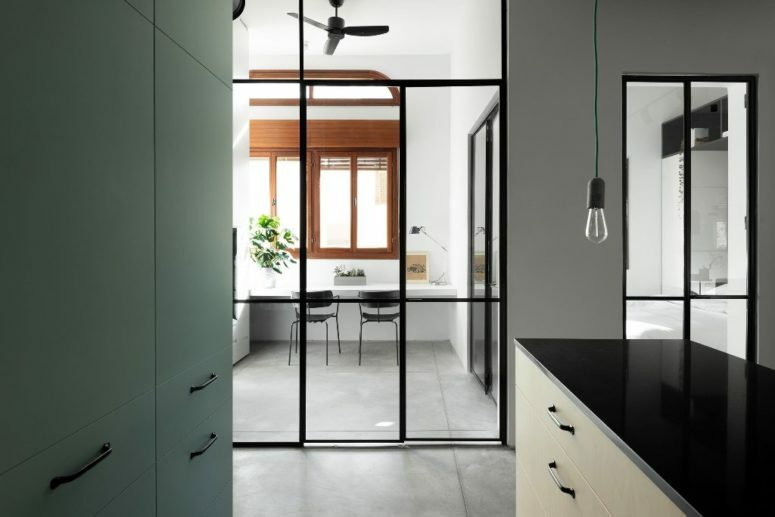 The muted palette of white, grey and black is complemented by the pastel hues presented in the modern furniture and the kitchen’s cabinetry, indoor plants, and the wooden window frames and shutters, a traditional feature in Jaffa’s buildings, while the daughter’s room is infused in pale pink. 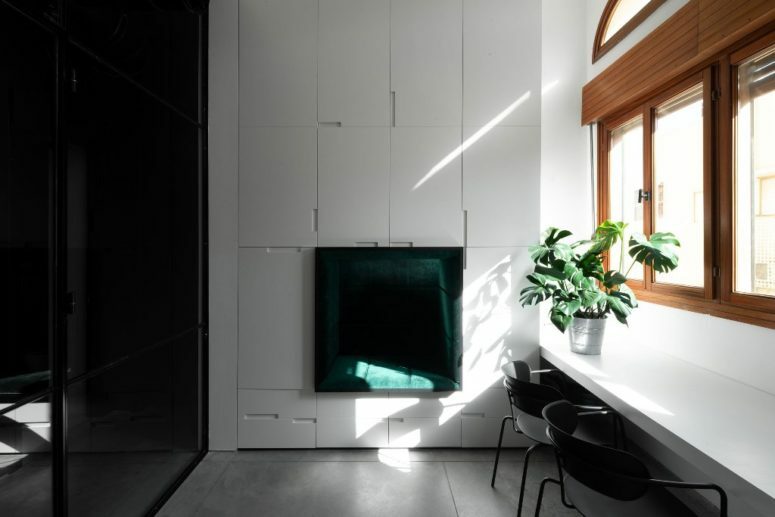 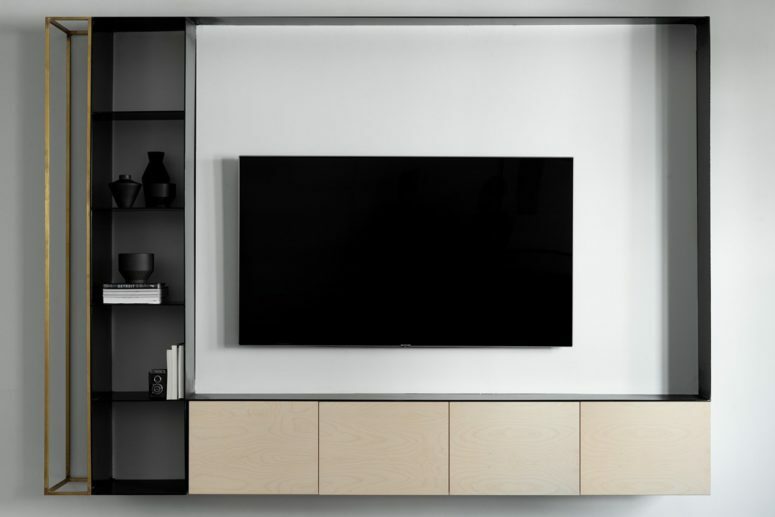 Despite its minimalist sensibility, the interior design abounds with beautiful construction details including custom carpentry and metal work. 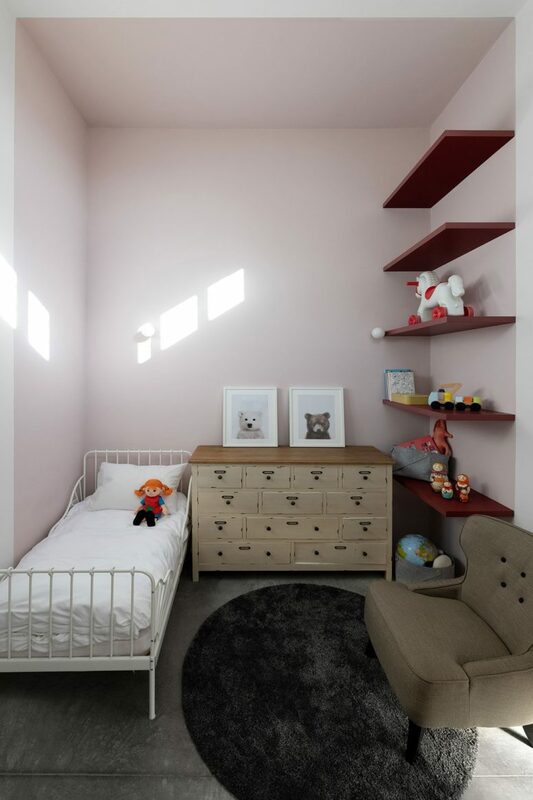 Take a look at more pics of this cool home below!